This baby couture outfit is beautiful. 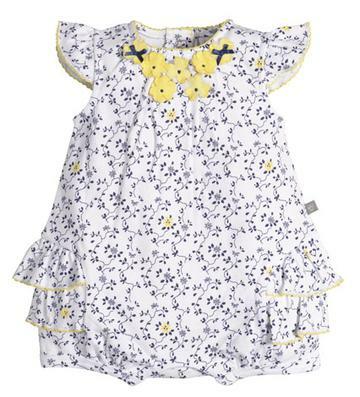 The white with little navy flowers romper has beautiful ruffles on the sides and around the shoulders. 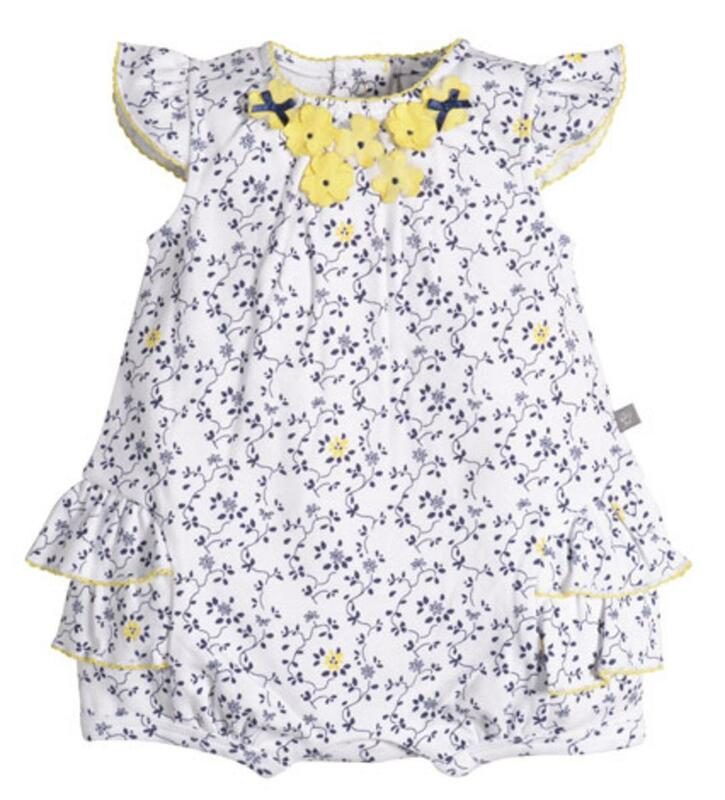 It also has some beautiful yellow flowers that add great detail as well as a yellow lace around the ruffles. This is 100% cotton.